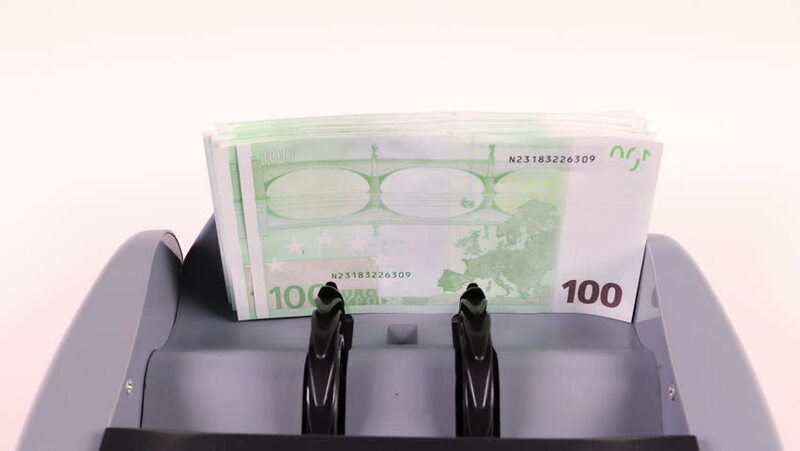 Counting 100 euro banknotes on currency counter machine. Overhead shot. hd00:30Lots of different types of Euro notes on top of each other.